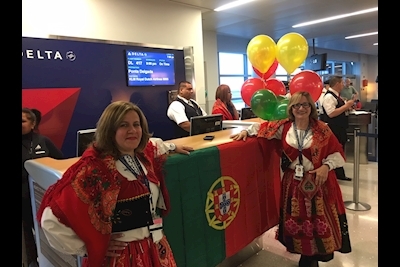 Delta Air Lines staff and customers celebrated the inaugural nonstop flight between New York-JFK and Ponta Delgada, the largest city in the Azores on 25th May. Last Friday's flight makes Delta the first U.S. carrier to fly to the Azores in nearly 80 years, the last US airline to go there was Pan Am and they last operated there in 1939. The Azores are perhaps one of the most beautiful and remotest places in Europe and to many are seen as Europe's answer to Hawaii. The Portuguese archipelago is the next big vacation destination and are a lot cheaper than many other island destinations. Upon arrival in Ponta Delgada, the Delta flight was greeted with a traditional water cannon salute and after disembarking, customers were met by local dignitaries, airport staff and Delta employees who distributed regional gifts and welcomed them inside where the festivities continued at baggage claim. 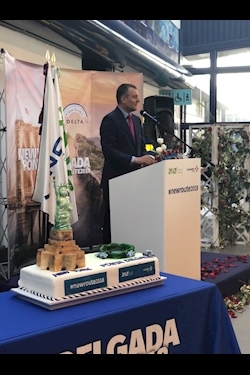 "Today, we reinforce the connection between the United States and the Azores," said Marta Guerreiro, Regional Secretary for Energy, Environment and Tourism. "With nine islands providing outstanding landscapes and a mild climate all year long, travellers here will find an authentic and natural paradise." Additionally, the Trump supporting republican biased airline is also celebrating the news that Delta Cargo won the category of Best Air Cargo Carrier in North America by Asia Cargo News 2018 Asian Freight, Logistics, and Supply Chain (AFLAS). Competing against the best in the logistics business, the award was presented to Delta Cargo for outstanding customer service. "We are focused on providing best-in-class customer service, and this award is recognition of the great work from our team in Asia-Pacific," said Shawn Cole, V.P. – Delta Cargo. 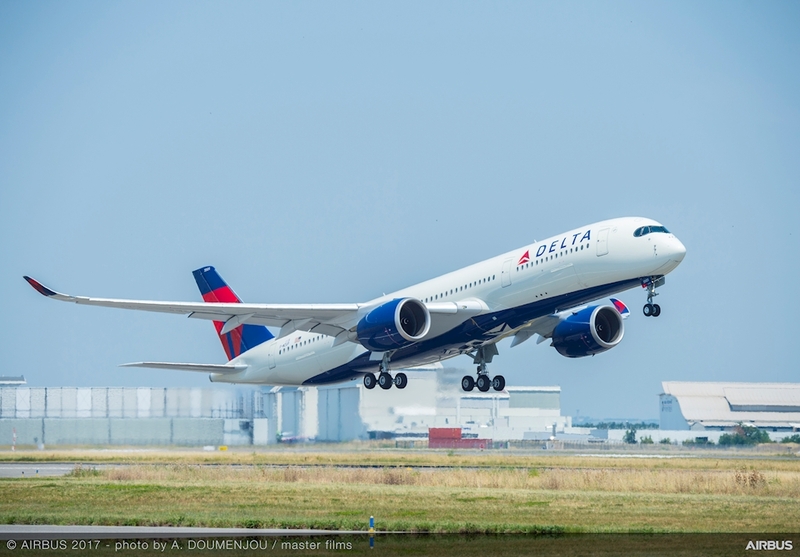 "With the introduction of the A350 aircraft on the trans-Pacific, offering customers increased cargo capacity and our technology investments, there are real opportunities to continue this momentum and build a large, loyal customer base." This is the second time Delta Cargo has been recognized by the more than 10,000 readers of Asia Cargo News; the first win dating back to 2015. The annual AFLAS Award is based on customer voting, plus an evaluation of performance and service, ultimately honouring the leading companies in the logistics and air cargo industry. Delta's joint venture partner, Air France-KLM-Martinair Cargo, also won the 2018 AFLAS Carrier Award in the European sector. The celebration for all winners took place in Shanghai, China.